Unparalleled design provides easy access to the main dial and the quick control dial. Shutter speed and aperture can be adjusted without removing your hand from the grip. Replacement of the strobe sync connector (6-pin wired to 2-pin wired)Consult a SEA&SEA authorized service center for the details.Customizing the housing offers additional functions. You can replace the 6-pin wired TTL converter connector on the top of the housing with a 2-pin wired strobe connector for an additional cost. This modification provides two 2-pin wired strobe connectors so you can connect two SEA&SEA YS-Series strobes. 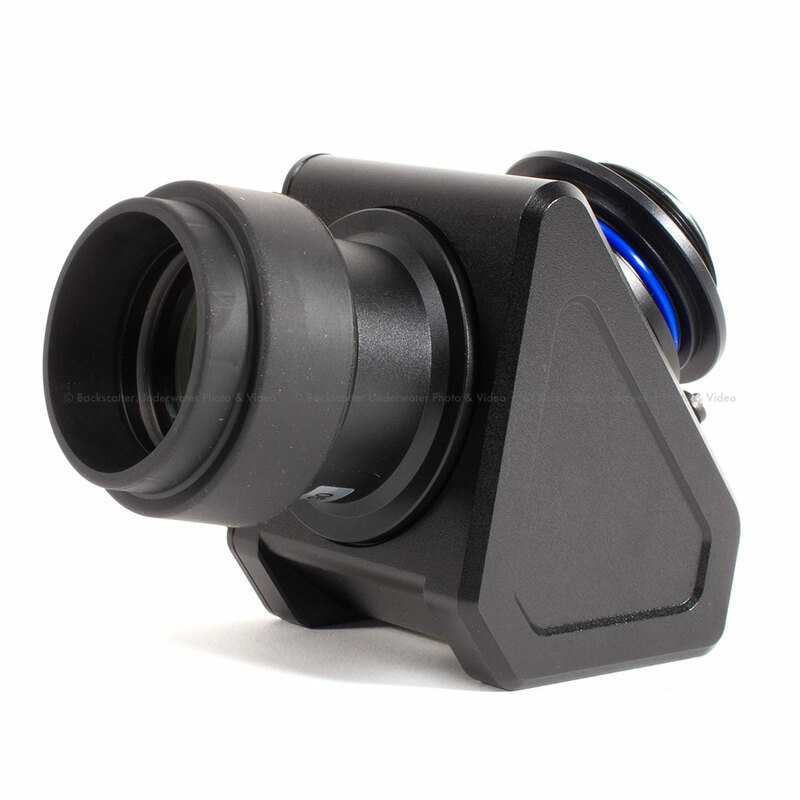 By attachment of a 45_ viewfinder (view magnification of 1.2x) with Amici prisms to the eyepiece on the housing, the magnification increases to 1.2x, allowing the entire field of view to be seen clearly. Recommended for users committed to strict compositioning and focusing. Simply by connecting the Fiber-Optic Cable (L-type) to the connector, the light of the digital cameras built-in flash is detected and connected to an external strobe. This is considerably less complicated than setting up an electrical connector that requires detailed knowledge. It also eliminates any risks involved when the connector is submerged in water. A new type of easily operated shutter lever, excellent for taking quick snapshots and for avoiding motion blur. The shutter lever can be operated in two ways by pushing from the top or pulling from the front and offers a smooth option for adjusting the autofocus by pressing the button halfway down so you need not worry about any missed chances. The MDX-7D housing comes from the factory with these type-N connectors: one 2-pin wired connector and one 6-pin wired connector. To use two SEA&SEA YS-Series strobes with the factory-equipped type-N connectors, you must use the 5-pin Dual Sync Cord/N.